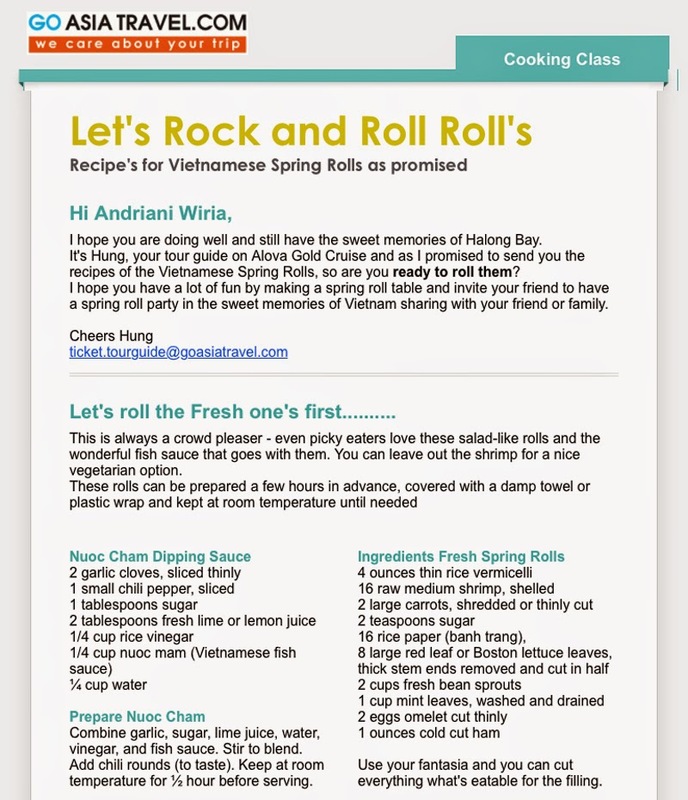 Wanna share spring roll recipe I got from Go Asia Travel, a tour company from Vietnam. 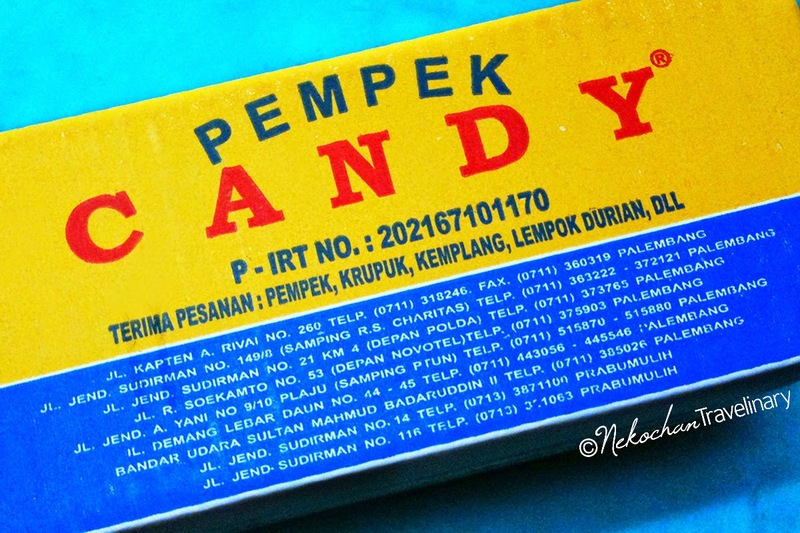 It's easy to make and tastes good, you should try! Here I copy-paste from an email they sent to me. Enjoy! This is always a crowd pleaser, even picky eaters love these salad-like rolls and the wonderful fish sauce that goes with them. You can leave out the shrimp for a nice vegetarian option. These rolls can be prepared a few hours in advance, covered with a damp towel or plastic wrap and kept at room temperature until needed. Combine garlic, sugar, lime juice, water, vinegar, and fish sauce. Stir to blend. Add chili rounds (to taste). Keep at room temperature for 1/2 hour before serving. Use your fantasy and you can cut everything what's eatable for the filling. In a medium saucepan, bring several cups of water to boil. Add vermicelli and cook until softened, 2-3 minutes. Drain and rinse under cold water. Boil the shrimp for 3 minutes, then refresh in cold water. Cut lengthwise in half, then set aside. Lay one piece of lettuce over the bottom of the rice paper. Add 1 tablespoon of noodles, 1 tablespoon carrot, bean sprouts and several mint leaves. Roll the paper halfway. Fold both sides of the paper over the filling. Lay 2 shrimp halves, cut side down, along the crease. Place several cilantro leaves above the shrimp. Keep rolling the paper into a cylinder to seal. Place the rolls, seam side down, on a plate and cover with a damp towel so they will stay moist. Slice each roll in half on a bias. The rice paper in Vietnam is elastic, making the roll-up very easy. Second, the fillings vary with inclusion of minced pork, prawn meat, crab meat, spring onions, eggs, glass noodles, wooden ear mushroom and different vegetables. I learned the Northern style from my grandmother and we use julienne carrot and kohlrabi or bean sprout, which give the spring roll the sweetness and freshness of veggies. 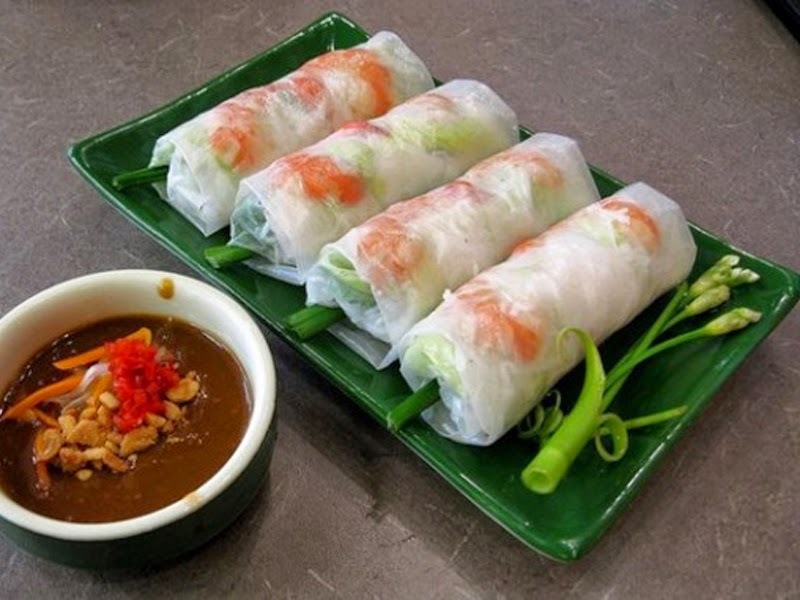 These lovely rolls are served with Vietnamese Dipping Sauce (Nuoc Cham) and lots of fresh herbs on the side, for example lettuce, mint, bean sprouts, etc. 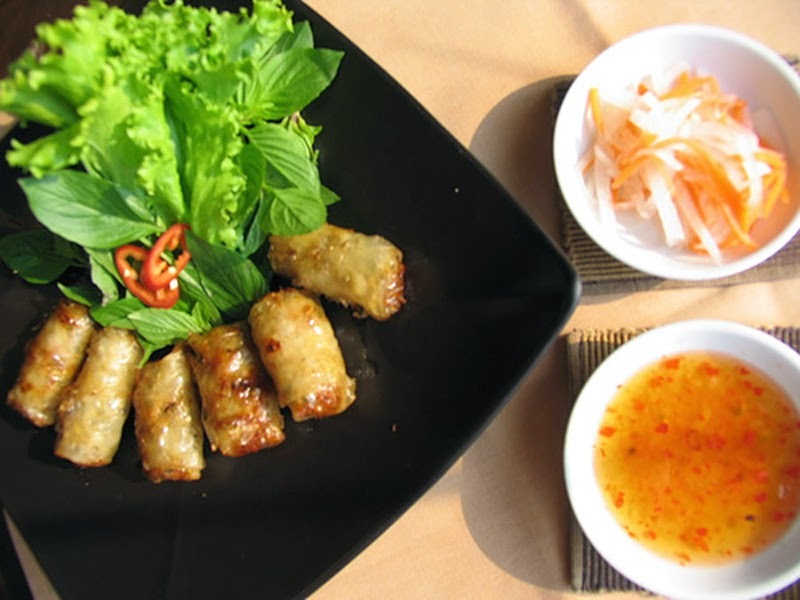 I have included below the recipe for Vietnamese Fried Spring Rolls. I admit I never measure the exact quantity when making these rolls and the dipping sauce. Everything is done by the eye and it a bit different than we showed in our cooking demonstration, but it is really not hard to get it right. There is a trick to make the skin crispy longer after frying, add a few drops lemon/lime juice or vinegar to the water used to soften the rice wrapper. For the filling, feel free to try different things for example using shredded Chinese cabbage instead of kohlrabi. Adjust with more sugar and water if needed. All the tastes should be in balance. In a medium saucepan, bring several cups of water to boil. Add vermicelli and cook until softened, 2-3 minutes. Drain and rinse under cold water. Mix everything (except the rice paper wrapper, of course!) together; let the mixture rest for about 10 minutes. Heat oil in a large wok or deep-fryer, fry the rolls until golden and cooked. Take care not to burn or under-cook. When deep-frying, do not overheat the oil otherwise the rolls will be burned outside.